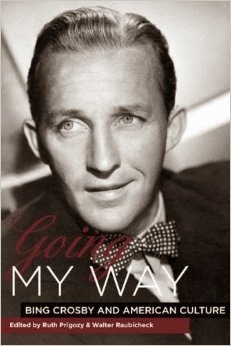 ...In the mail from my dad: GOING MY WAY: BING CROSBY AND AMERICAN CULTURE, edited by Ruth Prigozy and Walter Raubicheck, published by the University of Rochester Press in 2007. This collection of 19 essays looks very interesting, with topics ranging from "A Couple of Song and Dance Men: Bing Crosby and Fred Astaire" to "Bing Crosby, Walt Disney, and Ichabod Crane" to "Bing's Entertainment and War Bond Sales Activities During World War II." ...Joan Fontaine's longtime secretary Susan shared thoughts on the late actress in a letter to Lara of Backlots. 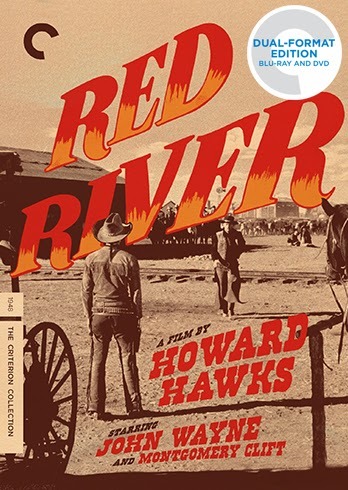 ...Criterion recently announced its May lineup of releases, which includes RED RIVER (1948). I'm curious what sort of sales reaction Criterion is having to their releases this year only being available in more expensive Blu-ray/DVD combination sets. ...Speaking of Criterion, Glenn Erickson just reviewed the new release of the heist film RIFIFI (1955). ...Here's a trailer for UNBROKEN (2014), the upcoming film on Olympian/war hero Louis Zamperini, directed by Angelina Jolie. And here's an L.A. Times story on Zamperini I first linked to back in 2011. ...Season One of L.A. Law finally comes out on DVD in the U.S. tomorrow, to be followed by Season 2 in May. Some cast members recently reminisced about the show with Susan King of the L.A. Times. ...Regular readers know that I always enjoy sighting Bess Flowers, the greatest extra and bit player in movie history. Scott Feinberg just gave Flowers some welcome attention in The Hollywood Reporter. He writes that she bought many of the outfits she wore in movies, so she was always ready with her own wardrobe for the countless party and nightclub scenes she appeared in over the course of her long career. ...This week's YouTube find: MURDER ON FLIGHT 502 (1975), a TV-movie with a cast including Ralph Bellamy, Laraine Day, Dane Clark, Walter Pidgeon, Robert Stack, Fernando Lamas, Hugh O'Brian, Theodore Bikel...and Farrah Fawcett. Should be fun! ...The flat which was the office of Michael Powell and Emeric Pressburger during much of the '40s was just honored with a blue English Heritage plaque. Director Martin Scorsese and Powell's widow, editor Thelma Schoonmaker, were there for the ceremony. 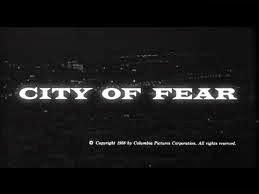 ...Robby's got a terrific new post up at Dear Old Hollywood on the L.A. locations seen in the very entertaining CITY OF FEAR (1959). He did some terrific detective work! ..."When, Exactly, Does Watching a Lot of Netflix Become a 'Binge'?" ...There's a new Classic Series underway at the Cinemark theater chain. ON THE WATERFRONT (1954), which was shown yesterday, screens again on Wednesday, February 26th, at Cinemark theaters nationwide. Click here for the list of participating theaters. REAR WINDOW (1954) follows on March 2nd and 5th. THE GRAPES OF WRATH (1940) plays March 16th and 19th. 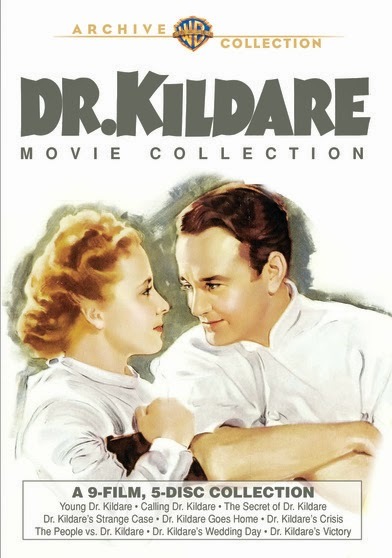 ...Raquel's latest "Warner Archive Wednesday" post is all about MGM's DR. KILDARE film series, just released by the Warner Archive. ...I've been meaning to buy THE ASTRONAUT WIVES' CLUB by Lily Koppel for my Kindle. (Although ironically, it appears the paperback is currently cheaper!) I recently read it's going to be a TV series. ...My thanks to reader "Crocheted Lace" for passing on this link to a New York Times review by Jeanine Basinger of A LIFE OF BARBARA STANWYCK by Victoria Wilson and AVA GARDNER: THE SECRET CONVERSATIONS by Peter Evans. Basinger is one of my favorite film historians so her comments were of interest. Basinger shares my view that the book needed an editor, saying there's so much information in the book that Stanwyck "almost becomes a supporting player in her own story." ...At Cinematically Insane, Will McKinley presents an entertaining rant about the incorrect aspect ratios he recently confronted as part of the in-flight entertainment while on a business trip. ...Reviews, reviews, and more reviews: Karen writes on Robert Taylor and Van Heflin in JOHNNY EAGER (1941) at Shadows and Satin...Ivan writes about UNION DEPOT (1932), with Douglas Fairbanks Jr. and Joan Blondell, for ClassicFlix...Colin shares thoughts on THE HANGING TREE (1959) with Gary Cooper at Riding the High Country...Mark discusses the "B" film END OF THE ROAD (1944) at Where Danger Lives...and Deb took in JACK RYAN: SHADOW RECRUIT (2014) which I really enjoyed last month. 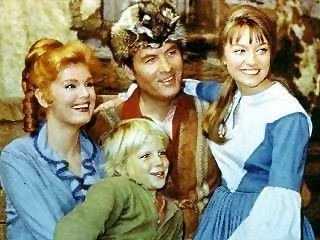 ...I was always sorry Veronica Cartwright left the TV series DANIEL BOONE. In an interview with Rick at Classic Film and TV Cafe, she explains what happened, as well as what it was like to work with William Wyler and Alfred Hitchcock. ...It's hard to believe it's been five years since Natasha Richardson died after a skiing accident. Liam Neeson was recently interviewed about coping with the loss of his wife. ...Notable Passings: I was saddened to learn earlier today of the passing of actor-writer-director Harold Ramis, whose GROUNDHOG DAY (1993) is one of my favorite films. In addition to directing the movie, Ramis also had a scene as the doctor, seen here. The Los Angeles Times noted that GROUNDHOG DAY was added to the National Film Registry in 2006...Maria von Trapp has died at the age of 99. She was the third-oldest of the children of Captain Georg von Trapp; her stepmother was also named Maria. When the Trapp Family Singers' story was fictionalized in THE SOUND OF MUSIC, all of the children's names were changed; Maria became "Louisa"...Mary Grace Canfield, who played Angelica in POLLYANNA (1960) and appeared on GREEN ACRES, has passed away at the age of 89. 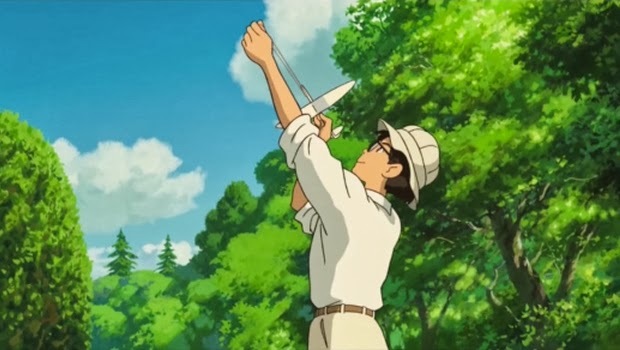 THE WIND RISES (2013) is a moving, deeply engrossing masterwork from famed Japanese animator Hayao Miyazaki. 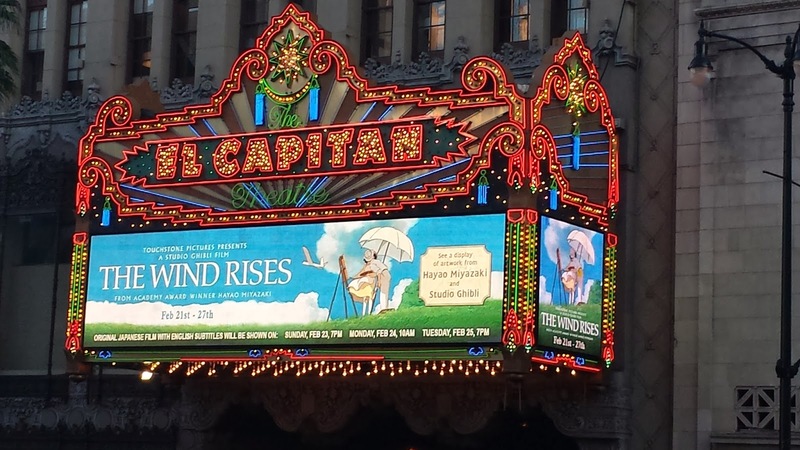 Miyazaki's Studio Ghibli has a relationship with Disney, so the film, known in Japanese as KAZE TACHINU, is currently showing at Disney's El Capitan Theatre on Hollywood Boulevard. I was drawn to see THE WIND RISES by the fine reviews and my increasing interest in Japanese cinema, and since this was my first Miyazaki film I wanted to do it right and see it on a big screen. The El Capitan also gave us the opportunity to see the film in Japanese, with subtitles; the English voice cast has some excellent names, including Stanley Tucci and Emily Blunt, but I feel the Japanese soundtrack, with the original vocal inflections and nuances, is the best way to see what is, in essence, a serious Japanese drama. 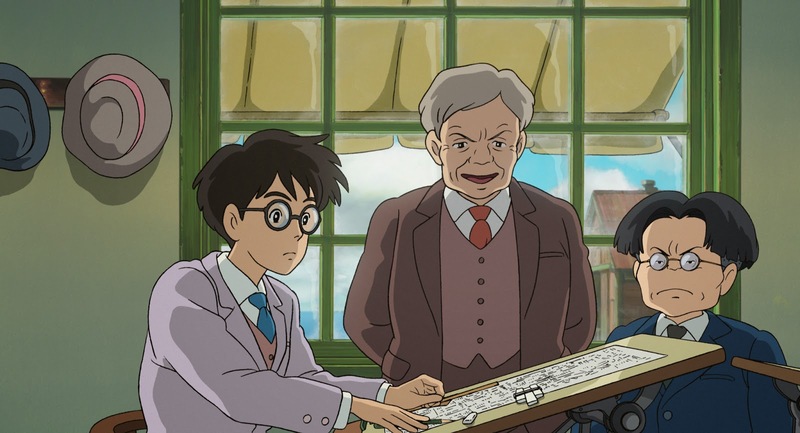 THE WIND RISES is a biographical film, telling the story of Jiro Horikoshi (Hideaki Anno). 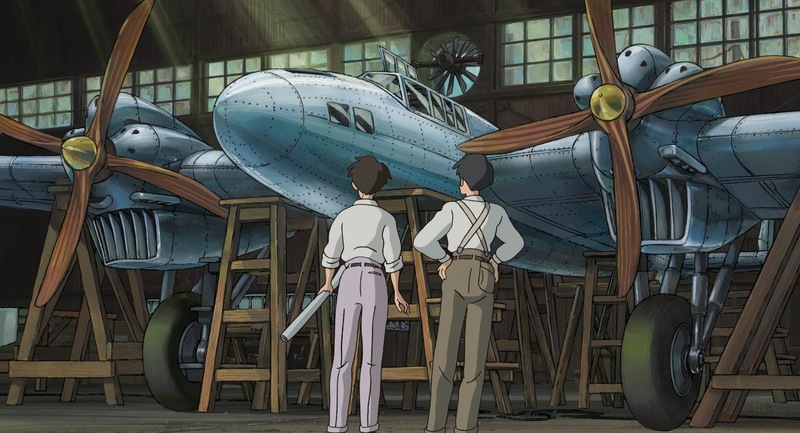 As a young boy Jiro dreams of piloting planes, but his vision is not good enough, so instead he decides to become an aeronautical engineer. On his way to the university, he survives a great earthquake and has his first encounter with Naoko (Miori Takimoto), who years later will become his wife. Jiro goes to work for Mitsubishi and gradually works his way up the ranks with groundbreaking new designs. Meanwhile, Jiro courts and marries Naoko, whose tubercular condition makes their romance bittersweet. A moment where Jiro jokes about his one-handed skill operating a slide rule, as his other hand hold's Naoko's, is as lovely and realistic a romantic moment as has ever been put on film. Their story avoids treacle, being leavened by moments of hilarity, particularly at their wedding; the brisk intervention of Jiro's doctor sister Kayo (Mirai Shido) is also welcome. That said, I'd be curious to know if the ending reminded anyone else of LOVE IS A MANY-SPLENDORED THING (1955). 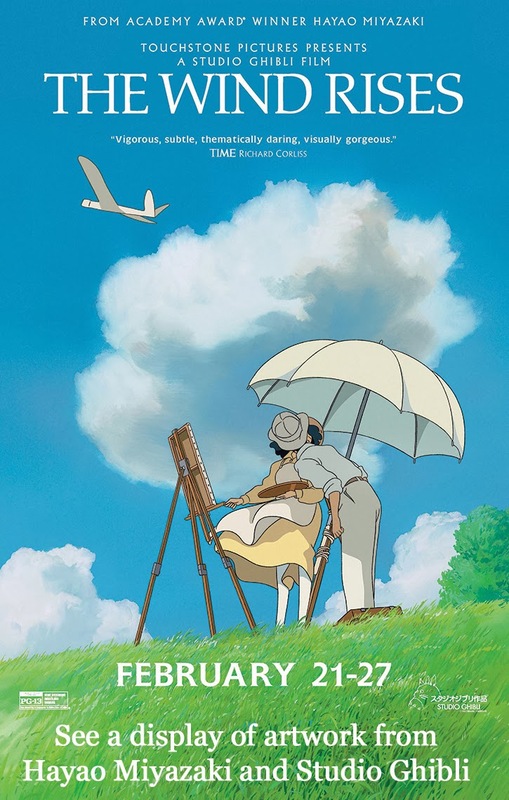 THE WIND RISES covers unusual subject matter for an animated film and is really aimed at an adult audience, presenting a serious, realistic story with moments of humor. The leisurely, finely detailed storytelling will likely appeal to those such as myself who appreciate the films of Yasujiro Ozu; for example, my daughter pointed out the wonderful bits of business in the scene where Jiro first reports to work, which add texture and realism. Yet while the 126-minute film took its time, my attention never flagged. 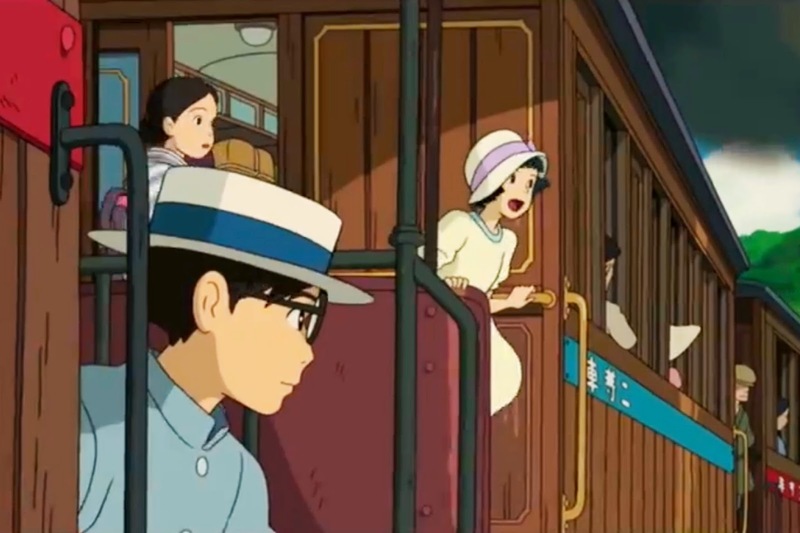 The hand-drawn animation provided many moments of great visual beauty, such as the resort where Jiro and Naoko reconnect, yet I felt it was as close to a live-action film as a cartoon has ever been. I could envision this film being made with live actors quite easily, which is unusual for an animated film. Is it disquieting to realize that the "beautiful dream" of a plane designed by Jiro turns out to be a Zero, used to kill so many Americans and allies during World War II? Of course. And yet rather than being put off, I felt that it added an additional layer of complexity to a film which could ultimately be construed as encouraging peace; witness Jiro's regret as he surveys the ruined remains of so many of his planes at the end of the film. I've been rooting for Disney's FROZEN (2013), which joins the pantheon of that studio's animated classics, to win Best Animated Film at next weekend's Oscars. 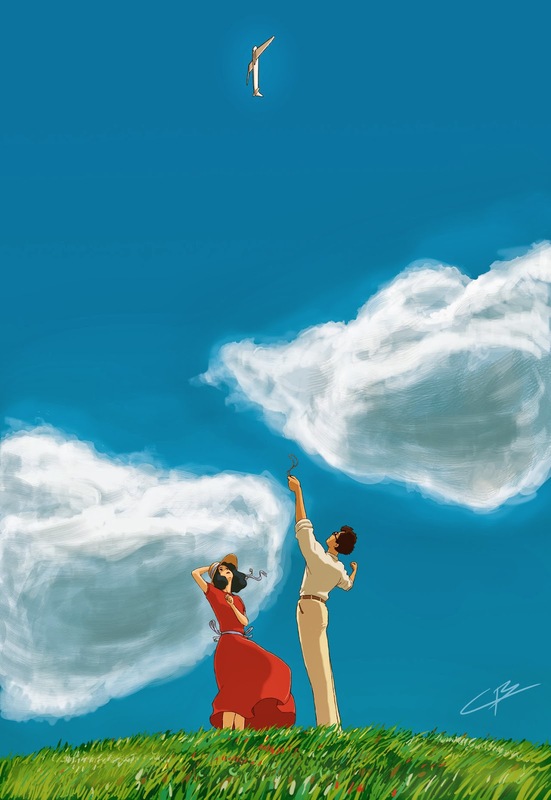 However, I can now say I would not be sorry were THE WIND RISES to win instead, it's that good. In my view, both films deserve the honor. Parental Advisory: This animated film is rated PG-13 for disturbing images and smoking. A PG rating makes sense to me, but PG-13 strikes me as overdoing it. Additional reviews: Kenneth Turan of the Los Angeles Times writes that the film is "stunningly beautiful and completely idiosyncratic"...Leonard Maltin also describes the movie as "stunningly beautiful, at a level of artistry we rarely see"...Lou Lumenick rated it four stars, calling it "simply a masterpiece." THE ADVENTURES OF ROBIN HOOD (1938) has always been one of my favorite films, but to date I've not had occasion to write about it at length. I was very fortunate to see it today in 35mm as part of UCLA's monthly Family Flicks series, and that also provided the perfect opportunity for me to share some thoughts on this special movie. 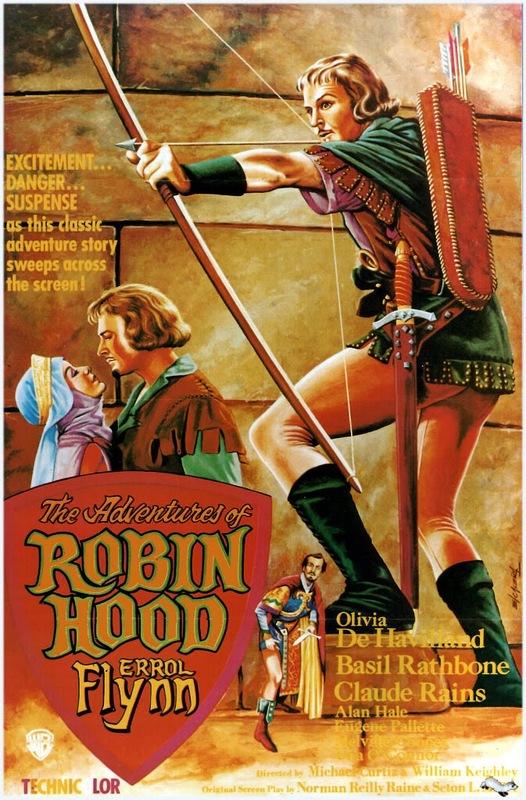 Over the years I've seen ROBIN HOOD in 35mm on several other occasions, including screenings at the Los Angeles County Museum of Art and the Vagabond Theater. Today's viewing cemented my opinion of the film's greatness as an exemplar of studio system craftsmanship at its finest. Those compiling Greatest Movie Ever Made Lists like to debate between CITIZEN KANE (1941), CASABLANCA (1942), and VERTIGO (1958), or perhaps GONE WITH THE WIND (1939), but if I had to choose just one film to represent everything I love about the classic film era, my vote would go to THE ADVENTURES OF ROBIN HOOD (1938), a truly perfect movie in every respect. Perhaps one reason I haven't written about the movie in the past is that I knew that once I started writing about it, it would be hard to stop piling on the superlatives! But they are truly deserved. 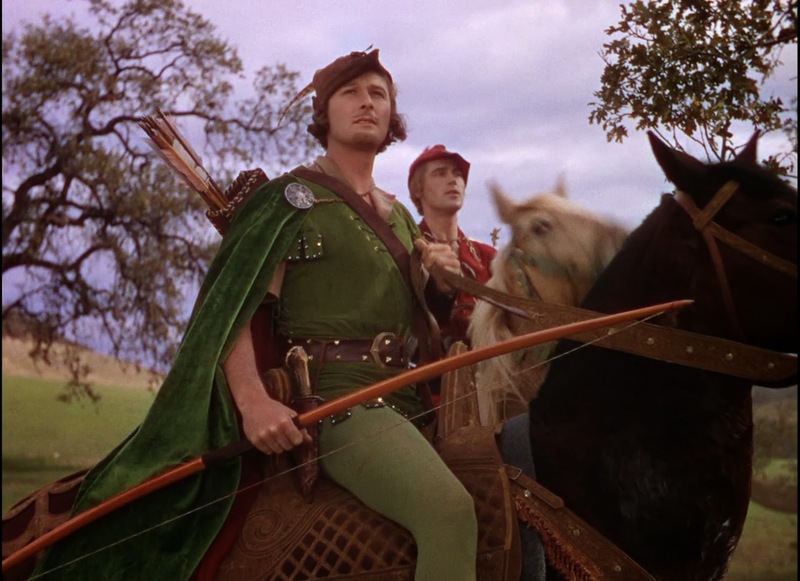 Every element works in ROBIN HOOD: cast, script, costumes, Technicolor photography, and most of all the glorious musical score; what's more, the line readings are as beautiful as the music. Between the music and the superbly rendered dialogue, simply listening to this movie is a great pleasure in and of itself, but on top of that there are Technicolor visuals which lift the movie into the stratosphere. It's an expertly paced film which moves from one exciting set piece to the next, the kind of movie where a viewer thinks "This is my favorite part" about 10 different times and when 102 minutes doesn't feel like enough because it's all so much fun. The movie brings endless joy no matter how many times one has seen it, and I've seen it plenty! 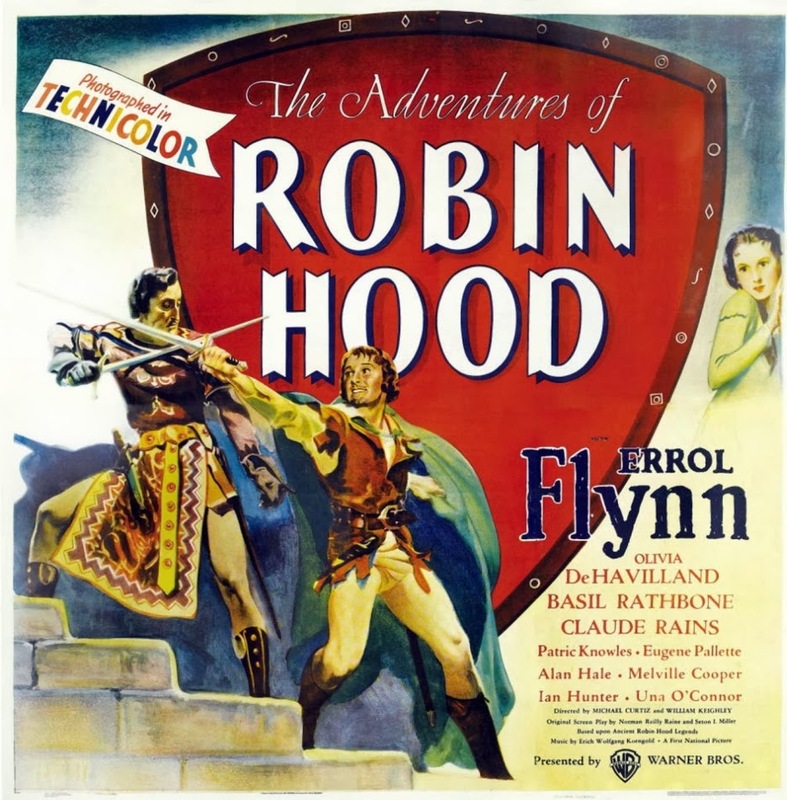 The superb casting begins, of course, with Errol Flynn and Olivia de Havilland as Robin Hood and Maid Marian. I'm searching for an adjective besides perfect, but that fits best, with the dynamic and charming Flynn capturing Robin's daring, good humor, and heart, and de Havilland a sweet and spunky Maid Marian. At this point in my moviegoing life, I'm moved to tears at the end of their tender love scene, as Korngold's strings fade away while Marian watches Robin climb down from her window. It goes without saying that Claude Rains and Basil Rathbone couldn't be improved upon as evil Prince John and Sir Guy of Gisbourne. And could there be any other Little John or Friar Tuck but Alan Hale Sr. and Eugene Pallette? My favorite casting also includes sometime leading men Patric Knowles and Ian Hunter as Will Scarlett and King Richard. Knowles is dashing and genial as Will, and Hunter in his few scenes makes Richard an imposing figure, both physically and dramatically. Erich Wolfgang Korngold won the Oscar for Best Score, and this was an occasion when the Academy got it more than right. For my money Korngold's ROBIN HOOD is the greatest film score ever composed. It's all thrilling, whether it's the aforementioned love scene, the Merry Men attacking Sir Guy's caravan, or the procession for Prince John's coronation. The music, in fact, is an integral part of the storytelling, as necessary to the movie's success as the dialogue. I suspect it strongly influenced John Williams' score for STAR WARS (1977), among others. Hugo Friedhofer, incidentally, did the orchestrations. The supporting cast includes Una O'Connor, Herbert Mundin, Melville Cooper, Montagu Love, and Kenneth Hunter. Notable behind-the-scenes talents included fencing master Fred Cavens and archer Howard Hill. 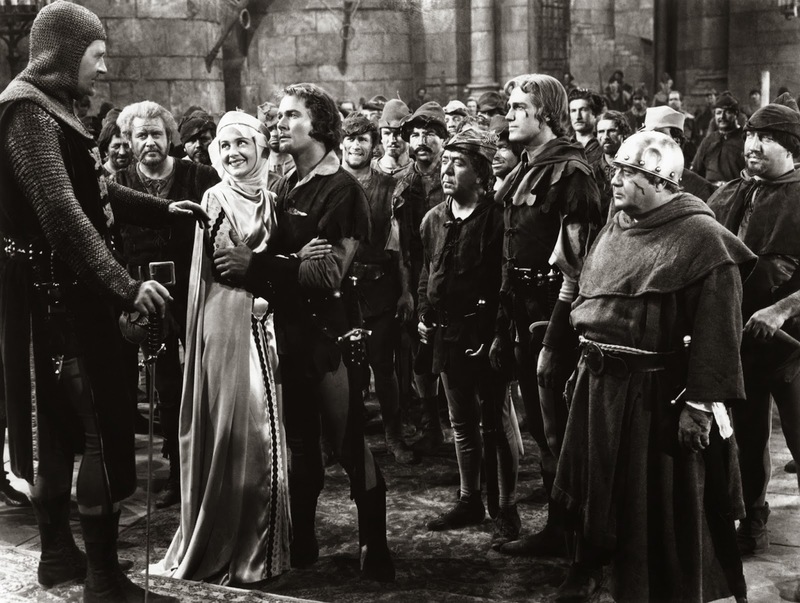 THE ADVENTURES OF ROBIN HOOD was directed by Michael Curtiz and William Keighley. It was filmed in Technicolor by Tony Gaudio and Sol Polito. The script was by Norman Reilly Raine and Seton I. Miller. THE ADVENTURES OF ROBIN HOOD has been released on DVD and Blu-ray. The DVD can be rented from Netflix or ClassicFlix. It can also be streamed via Amazon Instant Video. 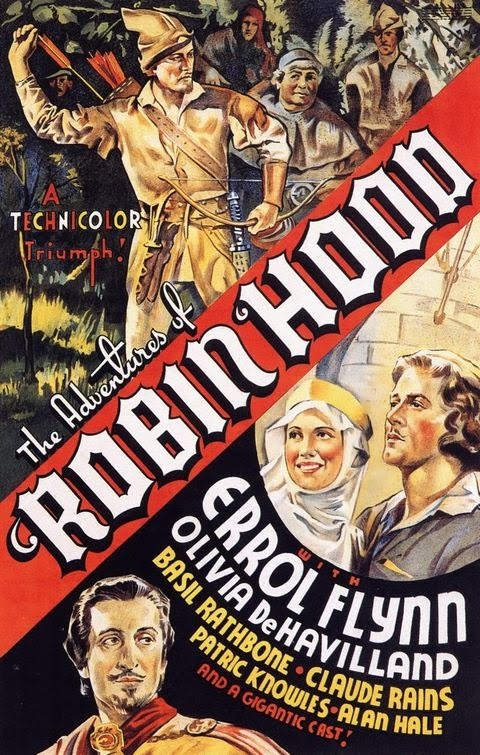 THE ADVENTURES OF ROBIN HOOD is shown regularly on Turner Classic Movies. The trailer is here at the TCM site. 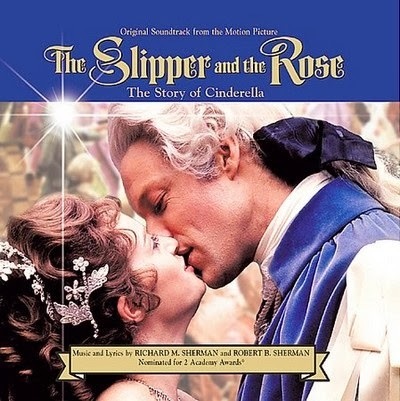 The Sherman Bros. Cinderella musical THE SLIPPER AND THE ROSE: THE STORY OF CINDERELLA (1976) has proven elusive to me since it was first released when I was in my teens. Although I've owned the LP soundtrack since the movie came out, I had never caught up with the film until now, thanks to a beautiful new Blu-ray released last November. It's a movie I was hoping to love and instead simply liked. There are performances, songs, and scenes which are very, very good, even brilliant -- just try getting the Oscar-nominated "Slipper and the Rose Waltz" out of your head! -- but the whole thing threatens to collapse under the weight of the film's bloated 146-minute running time. There are extraneous songs which don't move the plot along and an extended double ending, causing the film to run about half an hour too long. An editor with a judicious use of scissors could have taken a good film and trimmed it into an excellent one. Curiously enough, IMDb says that there was a U.S. version of the film which ran 127 minutes. I wonder if I might like that version better! 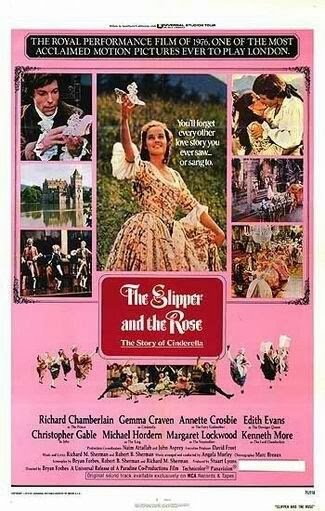 THE SLIPPER AND THE ROSE was directed by Bryan Forbes, who cowrote the screenplay with the film's composers, Richard and Robert Sherman. Forbes passed away last May, and Robert Sherman in May 2012. The film has numerous strong points, starting with the lilting title song. 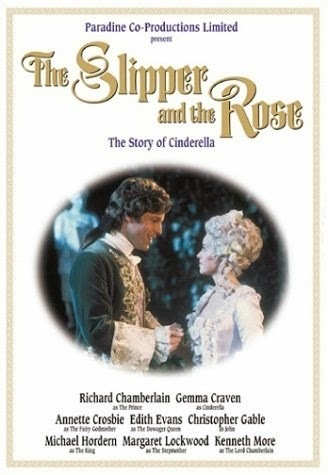 It stars Richard Chamberlain as the Prince, with Gemma Craven as Cinderella; Chamberlain acquits himself well as a singer and romantic lead, and Craven is charming. She would later star in a marvelous TV production of SHE LOVES ME (1978), which really needs to come out on DVD. Whenever the film's energy is flagging, it only takes the appearance of the film's two great ladies, Margaret Lockwood and Annette Crosbie, to zap it back to life. Crosbie is a delight as a rather unusual Fairy Godmother, who is sweet-natured but spread thin caring for her charges; she must "borrow" magic for Cinderella's evening at the ball, hence only having enough magic to last until midnight! 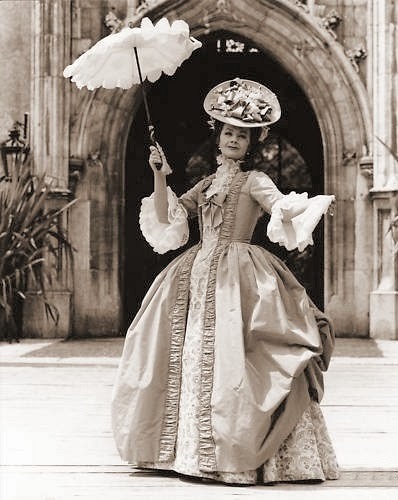 Crosbie appeared in this film shortly after her superb performance as Queen Victoria in TV's EDWARD THE KING (1975). Lockwood (seen above left) is delicious as the Wicked Stepmother from the moment she returns from burying her husband and removes her coat to reveal a bright red gown underneath! She's great fun to watch, as Lockwood fans might imagine. There are a number of other venerable acting names in the cast, with Kenneth More as the Chamberlain, Michael Hordern as the King, and Edith Evans as the Dowager Queen. Polly Williams, who was married to Nigel Havers and sadly passed on of cancer a decade ago, has a small role as a member of the nobility in love with the prince's manservant John (Christopher Gable). The film has some gorgeous moments, including a marvelous solution to the Prince finally finding Cinderella; in despair, he tosses the glass slipper into a meadow, where it's found by a wondering Cinderella. The prince's friend John then spots her dancing with it and hastens to summon the prince. It's beautifully filmed and quite romantic. I also especially liked a lovely theatrical-style curtain call at the end of the film, with the characters bowing to the audience as their names appear on screen. As for the film's issues, there are far too many songs sung by minor characters which do nothing to advance the story; this is an issue both early on, causing the story to ramp up verrry slowly, and again at the end. All the viewer wants is to see the Prince and Cinderella reunited, and instead we're left clock watching while servants dance in the kitchen. Dancing mice and the Prince literally dancing on the tombs of his ancestors also could have been cut; the weight of history and family obligation felt by the Prince is dramatically important, but the lighthearted song and dance in that setting was...awkward. 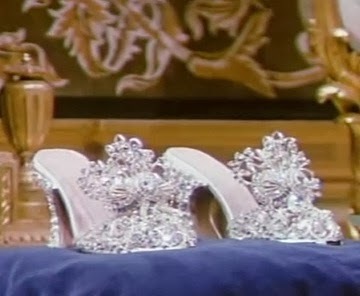 The film basically has two endings, as after the Prince finds Cinderella they are separated once more. (My reaction was "Wait...what? Again?") Just when the viewer despairs, the Fairy Godmother turns up to mutter about people not being able to do things correctly without her help, and she sets things right once and for all. Whew! The film has gorgeous costumes and sets, and it was beautifully shot by Tony Imi, with locations including Salzburg, Austria. 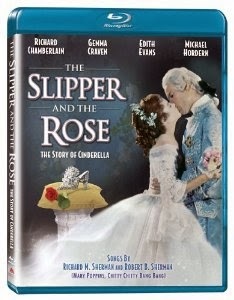 In addition to the Blu-ray, THE SLIPPER AND THE ROSE had a past release on a pan-and-scan DVD. Amazon Prime members can stream this film at no extra charge. The Blu-ray was favorably reviewed by DVD Talk ("This new release...is positively glorious...Highly Recommended") and High-Def Digest ("stupendous transfer...quite captivating"). The Blu-ray has extras from the earlier DVD release, including a commentary track with director Forbes and two featurettes. I agree the Blu-ray itself is gorgeous and recommend the film with the qualifications noted above. Chamberlain, Craven, Crosbie, and Lockwood plus the title song are reason enough to spend time with this telling of the classic story. 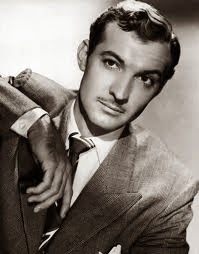 Yesterday, February 21st, marked the centennial of the birth of a favorite actor, the always-interesting Zachary Scott. Scott was born in Austin, Texas, and would pass on in the same city on October 3, 1965. Best remembered as wealthy sleaze Monte Beragon in MILDRED PIERCE (1945), Scott excelled at playing cads, yet he was also very effective in sympathetic roles. Scott's 1950 films alone serve to illustrate the breadth of his performances. In the least of these four parts, he's putty in the hands of evil Joan Fontaine in the highly enjoyable BORN TO BE BAD (1950), throwing over his sweet fiancee, Joan Leslie, in order to have Fontaine. In SHADOW ON THE WALL (1950) he's heartbreaking as a man who's unjustly accused of murdering his unfaithful wife, thus facing the tragedy of permanent separation from his little girl (Gigi Perreau). 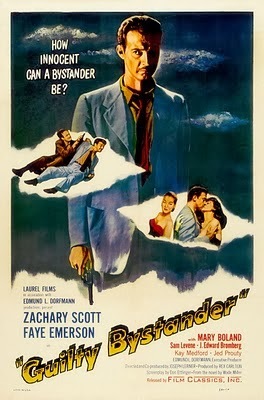 A child is also the focus of GUILTY BYSTANDER (1950), which might be Scott's finest performance, playing an alcoholic ex-cop strugglng to remain sober in order to search for his missing little boy. Scott's biographer attributes some of the power of Scott's riveting performance as the wild-eyed, psychotic villain in COLT .45 (1950) to Scott's offscreen depression and drinking, as he sought to come to terms with his wife leaving him for writer John Steinbeck. 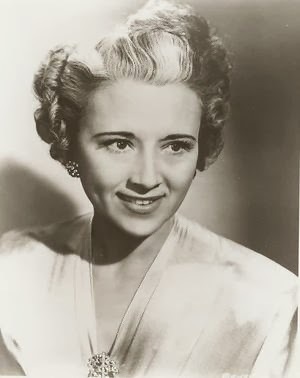 Scott's divorce from Elaine, his wife of 15 years, was final Christmas week of 1950, and in 1952 he married actress Ruth Ford, to whom he would remain married until his passing. Other than his unhappy divorce, Scott had a stable home life and was devoted to each of his wives in turn. Off the screen Scott seems to have been a class act, which is always refreshing to learn about an actor one admires. 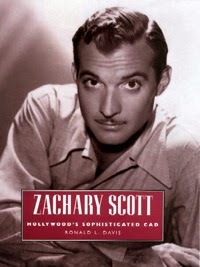 There's an excellent book on the actor, ZACHARY SCOTT: HOLLYWOOD'S SOPHISTICATED CAD by Ronald L. Davis, published by the University Press of Mississippi. I read the 2006 hardcover edition, and last fall it was republished in paperback. Reviews have been posted by KC at Classic Movies, Kristen at Journeys in Classic Film, and Brandie at True Classics. 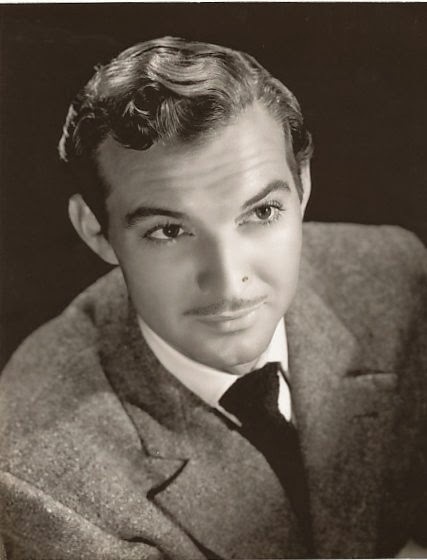 Zachary Scott movies reviewed at Laura's Miscellaneous Musings: MILDRED PIERCE (1945), DANGER SIGNAL (1945), HER KIND OF MAN (1946), STALLION ROAD (1947), WHIPLASH (1948), FLAXY MARTIN (1949), GUILTY BYSTANDER (1950), SHADOW ON THE WALL (1950), COLT .45 (1950), BORN TO BE BAD (1950), LIGHTNING STRIKES TWICE (1951), THE SECRET OF CONVICT LAKE (1951), LET'S MAKE IT LEGAL (1951), WINGS OF DANGER (1953), TREASURE OF RUBY HILLS (1955), and SHOTGUN (1955). 2015 Update: I've now posted a review of FLAME OF THE ISLANDS (1956). Tonight was another most enjoyable evening at UCLA's Anthony Mann Festival at the Billy Wilder Theater in Westwood. So far I've been at every evening of the festival except for the opening night, and I'm loving the chance to see so many widescreen Westerns for the very first time on a big screen, while also revisiting some of Mann's earlier "B" films and crime movies. 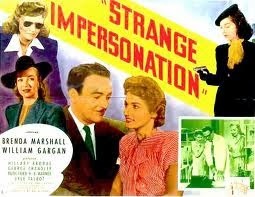 Tonight's double bill started off with STRANGE IMPERSONATION (1946), which I reviewed via a Kino DVD in 2011. Like Mann's STRANGERS IN THE NIGHT (1944), this is one wild movie. Some of STRANGE IMPERSONATION's absurdities seemed heightened in a big screen viewing -- Brenda Marshall and Hillary Brooke both lusting after a mustachioed, milquetoast William Gargan?! Brenda Marshall supposedly looking unrecognizable after plastic surgery, when all she does is dye her hair? One wonders if the cast pondered any of these questions at the time they made the movie! The movie also has some delightfully hokey moments, such as Gargan trying to kiss Marshall in the laboratory, as she puts him off with the immortal line "Stephen, remember -- science!" Still and all, this is a completely entertaining 68 minutes and it's hard to ask much more of a "B" film, especially when shown in a lovely 35mm print. 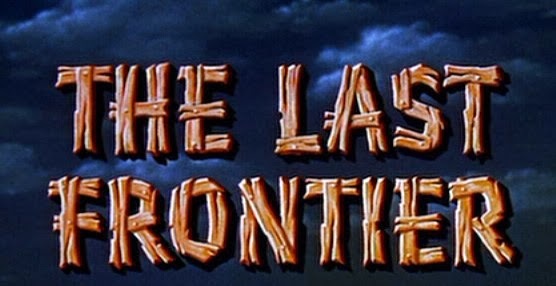 THE LAST FRONTIER (1955) was an interesting and different Western, combining familiar cavalry film elements with an unusual lead character portrayed by Victor Mature; my husband has termed the film "weird" and I can understand why, but at the same time I enjoyed it quite well despite some flaws. Those flaws started with the too-jolly Western music bookending the film; the filmmakers seemed to be trying to emulate the music of John Ford's cavalry pictures but I felt it didn't match this movie's tone. 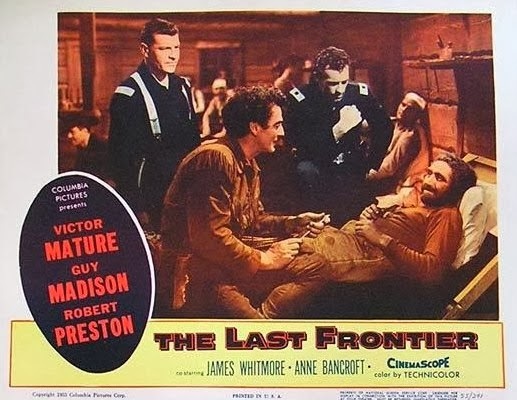 THE LAST FRONTIER does echo Ford's FORT APACHE (1948) with its story of a martinet cavalry commander stationed at a fort who's determined to go out and kill Indians, while not understanding the tactics for successfully doing so. In turn, THE LAST FRONTIER seems to foreshadow LAST OF THE MOHICANS (1992); of course, there were earlier film versions of the classic story, but the Daniel Day-Lewis version is the one I've seen and found myself mentally comparing to the Mature film. As in MOHICANS, Mature's Jed Cooper roams the frontier with two male companions, one a father figure (James Whitmore) and the other an Indian (Pat Hogan). 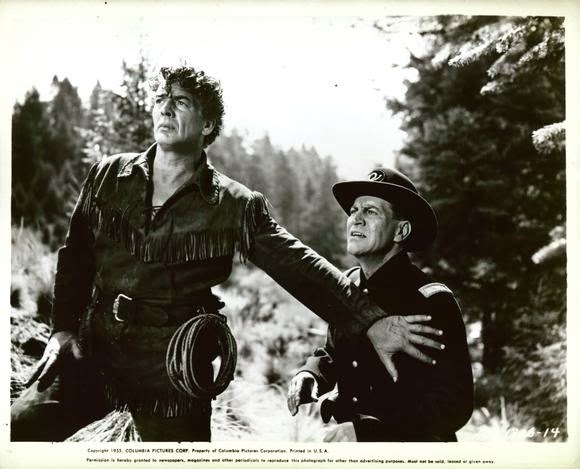 The decision-making clashes between Jed and Col. Marston (Robert Preston), with their mutual love for a refined woman (Anne Bancroft) also standing between them, also calls the MOHICANS storyline to mind. When the movie ended I thought "Well, that was different!" and wasn't sure it completely worked, and yet as I ponder the film further while writing this, I'm struck that it was a movie which offered much to reflect on, and perhaps I liked it more than I'd initially realized. 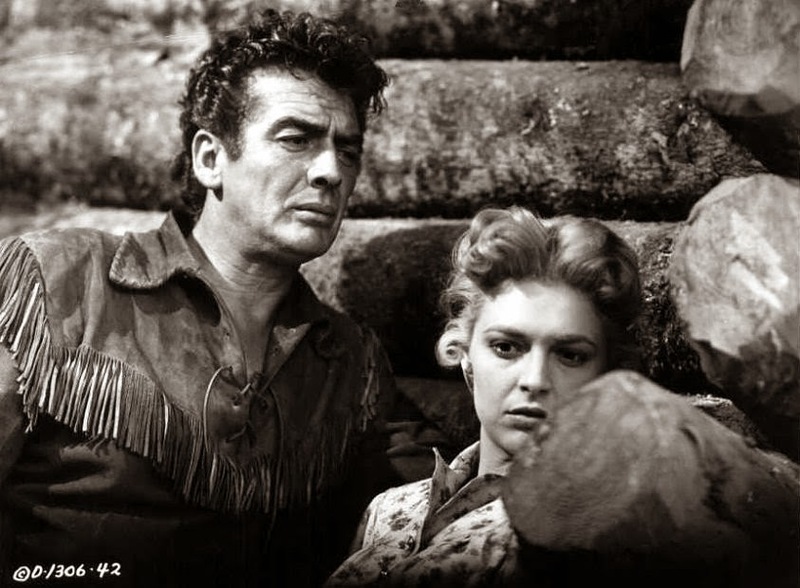 Mature once again demonstrates that he was way underrated as an actor; so good as quietly brooding types in films such as KISS OF DEATH (1947) and CRY OF THE CITY (1948), here he plays an exuberant wild child of the West, seemingly incapable of conforming to the rules of "civilized" society. This disregard for societal norms includes laying claim to Corrina (Bancroft) as his woman, despite the fact that she is (unhappily) married to Col. Marston. For her part, Corrina doesn't want to be attracted to the unpredictable Jed, but she also can't help being interested as he awakens feelings she clearly has never had before. 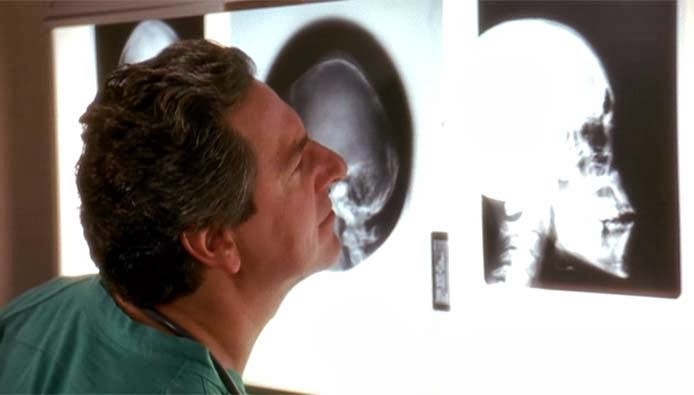 I'm not sure if I found the prospect of a continued relationship between Jed and Corrina believable, and yet I wanted to think it was possible. Jed may be unrestrained and uneducated, but he also has the intuitive smarts to immediately size up people and situations, as well as formidable skills as an outdoorsman, so if he's able to add to that the maturing that the ending implies has and will take place, perhaps it's believable at that. Corrina had apparently settled for marrying the colonel to be "rescued" from being a spinster, and they have a proper yet distant relationship, with the Colonel pushing away her attempts to connect with him on a deeper emotional level. (The Colonel at least appreciates she's a "fine woman" who wouldn't let Jed abandon her silly husband to the Indians!) Corrina has a second chance at what would be a far different relationship; she and Jed don't have common backgrounds but she now has the prospect of passion and being truly wanted. 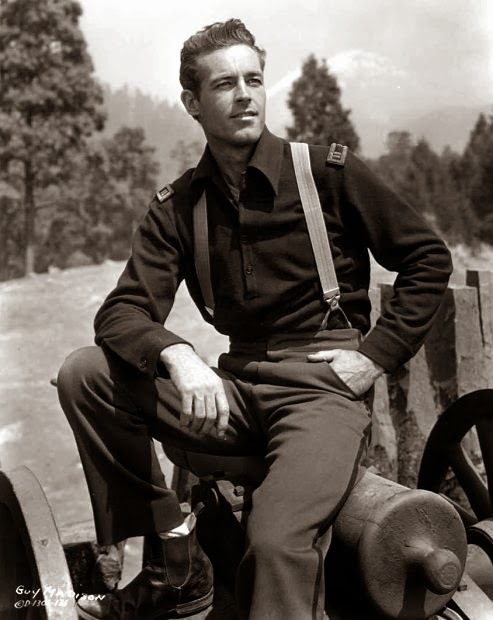 Guy Madison is appealing as the captain who hires Jed as a scout, and I'll be seeking out more of his Westerns. Grizzled James Whitmore pulls off being the man who raised Jed, despite being several years younger than Victor Mature! This is the second '50s film in which I've seen Anne Bancroft -- the other being NIGHTFALL (1957) -- and I definitely find this early work more interesting than what she would do in the '60s and beyond. The cast also includes Russell Collins, Peter Whitney, Mickey Kuhn, Guy Williams, and Jack Pennick, who played countless soldiers in his long career, several of those for John Ford. The film runs 98 minutes, with a screenplay by Philip Yordan and Russell S. Hughes based on the novel THE GILDED ROOSTER by Richard Emery Roberts. This Technicolor movie was filmed in CinemaScope by William Mellor. 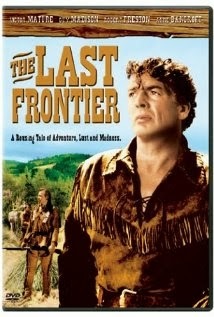 THE LAST FRONTIER is available on a widescreen DVD. It can be rented from Netflix or ClassicFlix. It also had a VHS release under its TV title, SAVAGE WILDERNESS. It can be rented for streaming from Amazon Instant Video. Earlier films seen in this series: DR. BROADWAY (1942), which was paired with the previously reviewed TWO O'CLOCK COURAGE (1945); THE MAN FROM LARAMIE (1955), shown with the previously reviewed STRANGERS IN THE NIGHT (1944); and THE NAKED SPUR (1953), shown with the previously reviewed HE WALKED BY NIGHT (1948). I strongly encourage my fellow Southern Californians to check out future nights in this series, as it's been terrific having the chance to delve deeply into Mann's films. The schedule has been announced for the first two weeks of the 16th Annual Noir City Film Festival, and it's terrific! The festival opens at the Egyptian Theatre on Friday, March 21st and runs through Sunday, April 6th. Opening Night features a tribute to the one and only Dan Duryea. On the schedule that night: a brand-new restoration of a Duryea film I've not yet seen, TOO LATE FOR TEARS (1949), and one I enjoyed a lot, LARCENY (1948). TOO LATE FOR TEARS costars Lizabeth Scott, with John Payne and Joan Caulfield costarring in LARCENY. 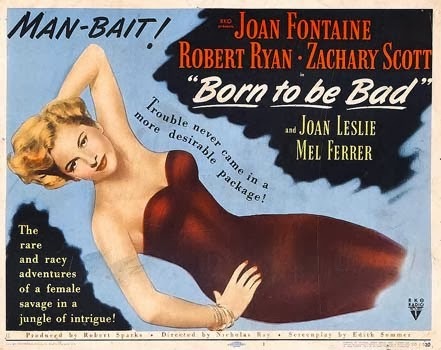 The next evening, March 22nd, the festival pays tribute to the late Joan Fontaine, with the delicious BORN TO BE BAD (1950) alongside a not-on-DVD film I've never seen, IVY (1947). BORN TO BE BAD has a great cast of Robert Ryan, Joan Leslie, Zachary Scott, and Mel Ferrer, while IVY costars Patric Knowles and Herbert Marshall. Sunday, March 23rd, is a day of "French noir" with TWO MEN IN MANHATTAN (1959), also known as DEUX HOMMES DANS MANHATTAN, and the classic RIFIFI (1955), directed by Jules Dassin. 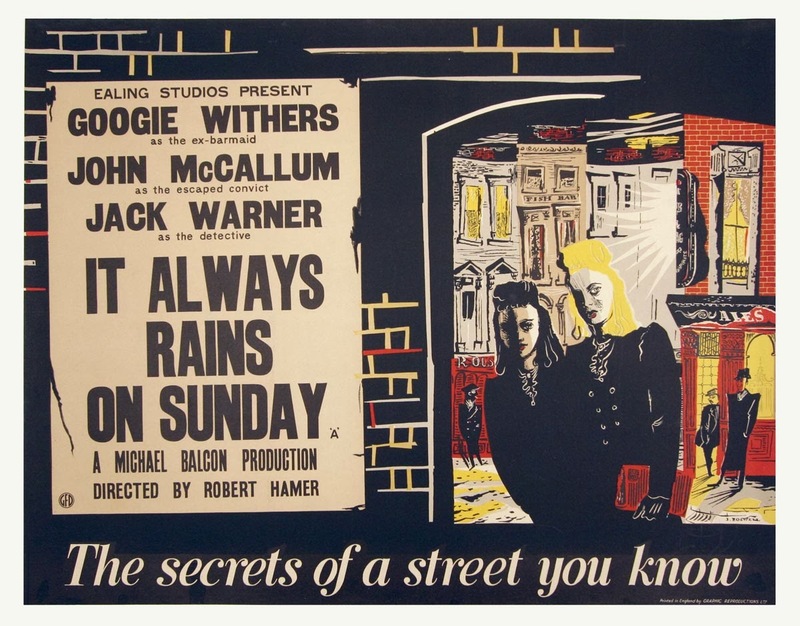 The festival resumes on Wednesday, March 26th, with an evening of 1947 "British noir," IT ALWAYS RAINS ON SUNDAY (1947) with Googie Withers and BRIGHTON ROCK (1947) with Richard Attenborough. On Friday, March 28th, there's a French film, JENNY LAMOUR (1947), titled QUAI DES ORFÈVRES in France, paired with the unusual ANGELS OVER BROADWAY (1940). ANGELS OVER BROADWAY stars Douglas Fairbanks Jr. and Rita Hayworth. March 29th is the evening I look forward to most after Opening Night, a fantastic "B" double feature of "L.A. 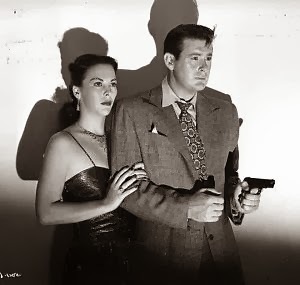 Noir" with a brand-new restored print of Don DeFore as a G-man in SOUTHSIDE 1-1000 (1950). 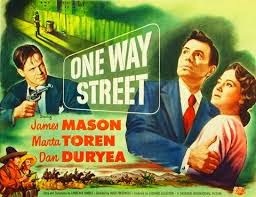 SOUTHSIDE 1-1000 will be shown along with Charles McGraw in ROADBLOCK (1951). What a fantastic double bill! March 30th is another "can't miss" date, with a tribute to the late Audrey Totter. 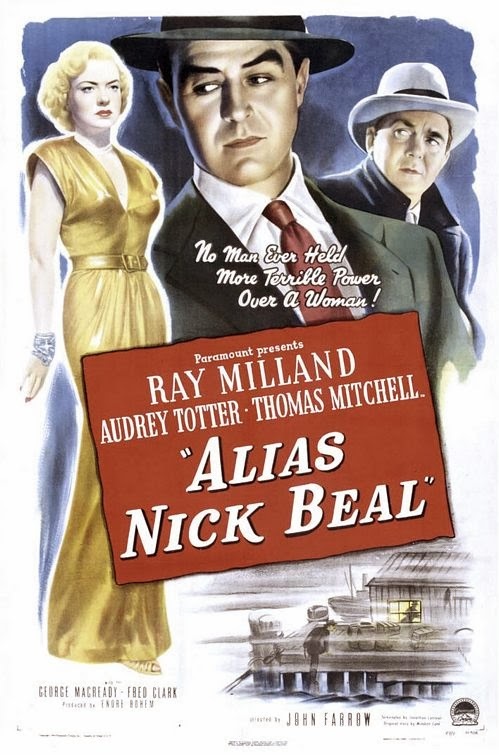 It will feature the excellent TENSION (1949), costarring Richard Basehart, Barry Sullivan, and Cyd Charisse, and a not-on-DVD Ray Milland film I'm really looking forward to seeing, ALIAS NICK BEAL (1949). The final weekend of the festival hasn't yet been announced, but according to the Egyptian website it will include a tribute to another great actress we lost in December, Eleanor Parker, featuring her Oscar-nominated performances in CAGED (1950) and DETECTIVE STORY (1951). I'll post additional updates on the final weekend when more information is available. Update: The final week's schedule is now available, along with info on the Eleanor Parker tribute! The above-mentioned Eleanor Parker tribute will take place the second week of the festival, on Thursday, March 27th. The final week gets underway with OSSESSIONE (1943) on Wednesday, April 2nd, and a Hugo Fregonese double bill on April 3rd, consisting of HARDLY A CRIMINAL (1949) and ONE WAY STREET (1950). 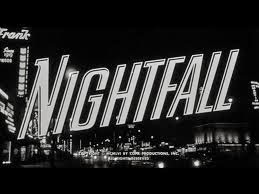 I'm very excited at the prospect of seeing NIGHTFALL (1957), one of my "Favorite Discoveries" of 2013, on a big screen. It's being shown on April 4th with AND HOPE TO DIE (1972), which sounds unusual -- a French film with Robert Ryan and NIGHTFALL star Aldo Ray! On April 5th there's just one film, DETOUR (1945), along with the closing weekend party. The final night of the festival, April 6th, features the 1951 remake of M and THE HITCHHIKER (1951), with Ida Lupino directing Edmond O'Brien, Frank Lovejoy, and William Talman. When the Noir City Festival ends, there are still great movies ahead here in Southern California, as the TCM Classic Film Festival will open on April 10th and run through April 13th. March 20th Update: Susan King of the Los Angeles Times interviews Eddie Muller and Alan K. Rode about the festival. Posts on past Noir City Festivals: A Visit to the Noir City Film Festival (2010); A Visit to the 13th Noir City Film Festival (2011); First Preview of 14th Annual Noir City Film Festival; Schedule Announced for Noir City 14 in Hollywood; Final Week of Noir City 14 Schedule Announced; A Visit to the 14th Annual Noir City Film Festival (2012); Schedule Announced for Noir City 15 in Hollywood; A Visit to the 15th Annual Noir City Film Festival (2013). Update: A Visit to the 16th Annual Noir City Film Festival (2014). 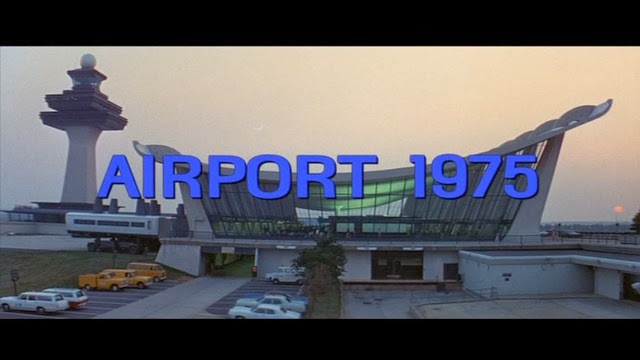 I enjoyed a wonderful double bill last night at the Egyptian Theatre, comprised of the first two films in the AIRPORT franchise, AIRPORT (1970) and AIRPORT 1975 (1974). 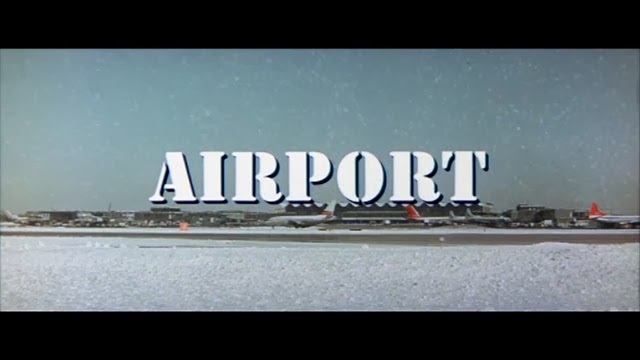 I originally reviewed AIRPORT in June 2010 and AIRPORT 1975 in May 2010. The movies were even more fun on a big screen; I felt AIRPORT in particular came off better seen in a theater than on TV. The huge widescreen shots of the control tower with snow falling outside were fantastic, and when the plane piloted by Barry Nelson and Dean Martin first emerged from a bank of clouds, the audience applauded. The booming Alfred Newman score was also shown off to great effect. It was very enjoyable seeing the films with an enthusiastic audience. 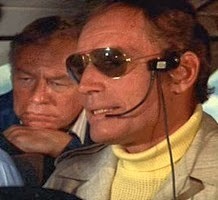 The crowd thinned out for AIRPORT 1975, which didn't start until around 10:15, but everyone who stayed seemed to appreciate its absurd goofiness, with Stewardess Nancy (Karen Black) piloting a crippled jetliner until Charlton Heston can be lowered from a helicopter (!) through the jet's broken window to take over for the emergency landing. I highly recommend that AIRPORT fans see these films on a big screen if the opportunity presents itself! I think I smiled for most of the evening. Pure movie fun. 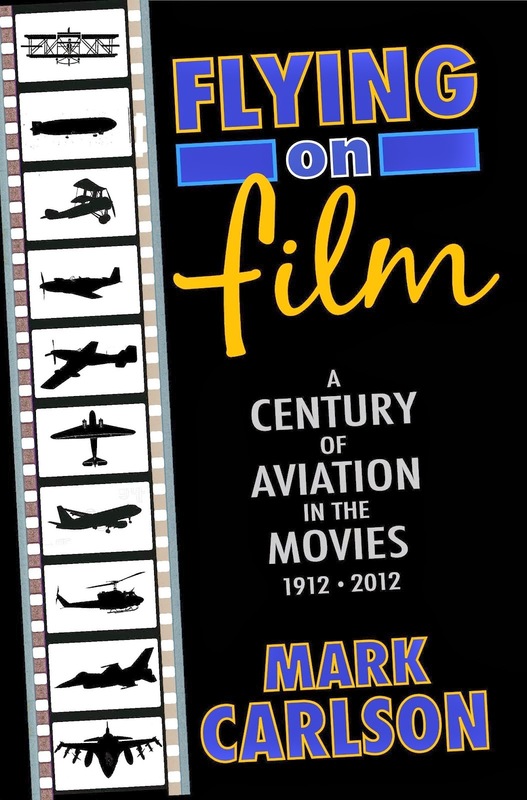 Prior to the film Mark Carlson signed his book FLYING ON FILM: A CENTURY OF AVIATION IN THE MOVIES, 1912-2012. Given how much I enjoy aviation films, I'm looking forward to reading the book. Carlson also introduced the films, including mentioning the fun trivia that the pilots of AIRPORT 1975, Efrem Zimbalist Jr. and Dana Andrews, essentially flipped the roles they had played 15 years earlier in THE CROWDED SKY (1960). I've had a lot of wonderful experiences at the movies recently, with more to come in the near future!